Sponsorship! That has to be my main focus at the moment if I'm going to try to improve on what I achieved this year. The way I see it, I need to ride as many events as possible, not only to help improve my riding, but to give me a better chance at competing for a top result in the series I enter. There are plenty of things I can offer potential sponsors (mainly advertising), I just need to find a sponsor who takes an active interest and genuinely wants to help me as a rider as well as gaining the benefits of the sponsorship itself. 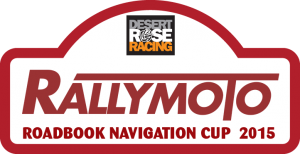 At this moment things are still very much undecided for next year, but a loose plan is to compete in as many rounds as possible of the 2015 All Terrain Rally Challenge and the clubman class of the 2015 ET James Welsh Enduro Championship. I would love to ride in the Rally class in the ATRC - the rules have changed for the class system which opens up a lot of possibilities, but it's something I've wanted to do for a long time. There's scope for riding my 300 in the new <450 rally class which would require a 13L tank and frame mounted fairing but I would definitely want to do the roadbook sections too, so I'd need some basic nav gear. That setup is the best part of £500. Obviously the dream scenario is that I end up with a 450RR 4T that I can use just for the ATRC, but until that happens, I'm still looking at ways to ride in both enduro and rally disciplines. I could go on about all sorts of plans like International Rallies, Extreme Enduros, Sprints, Hare & Hounds and so on - they are at the back of my mind in case I'm able to get the support I need to go and do them, so I'm keeping all my options open for the next few months. Watch this space!